This is the walkthrough and strategy guide of the Pokemon League Alola battles you will encounter in the story mode of Pokemon Ultimate Sun and Moon. Head back to Poni Island. 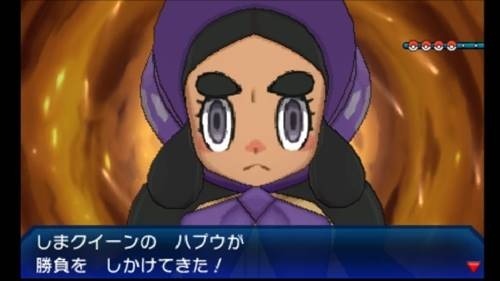 Obtain a Z-crystal, “Groundium Z” from Hapu after the battle. After coming back to Poni Island, head for Mount Lanakila. Use Ride Pager Charizard to fly to Tapu Village. 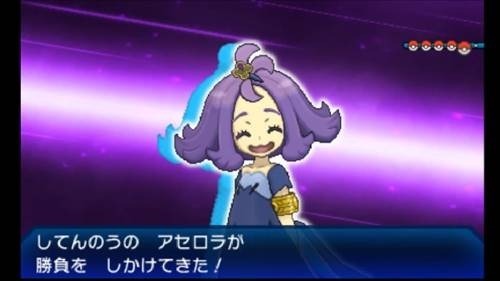 Since Hapu uses Ground-type Pokemon, Water and Grass-type Pokemon can beat them easily. Flygon is quicker than Hapu’s other Pokemon. Therefore, we can also exploit this weakness. Flygon’s weak point is Ice, being 4x as effective. Use a Pokemon that knows the Ice Fang move. Gastrodon is both Ground and Water-type. Therefore, water is no longer a weak point. Instead, use Grass attacks against Gastrodon because Grass moves deal 4x damage to Ground and Water types. If you don’t have Grass moves, use stat-boosting items like X Special. 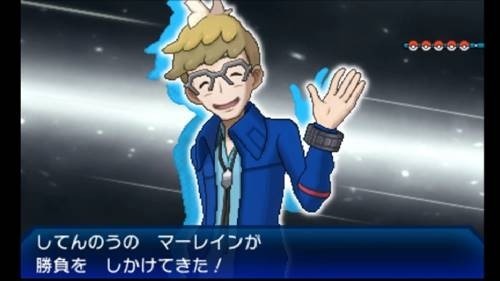 Several trainers will be awaiting you on Mount Lanakila on your way to Pokemon League Alola. Since these trainers are unavoidable prepare a lot of recovery items in advance. From the Pokemon Center in Tapu Village, go north from the right road. Upon entering Mount Lanakila, battle with Gladio. After defeating him, receive a Point Max from Gladio. Since Crobat is a flying and poison type Pokemon, attack it with an Ice-type or Electric-type attack. Be careful with Crobat, since he is immune to ground attacks. Lucario has high ATK and Sp. ATK, so you should be careful when dealing with him. To defeat Lucario easily, use ground and flame techniques against it. Gladio’s next Pokemon, Zoroark, is Dark-type. Therefore, his weak point is Fairy and Fighting. Silvally, Gladio’s final Pokemon, will change depending on your starting Pokemon. For example, if your starting Pokemon is water, Silvally will turn into a grass-type. It’s better if you prepare a Pokemon that takes advantage of Silvally’s weak points, depending on your starting Pokemon. Tip: After the battle, if you head down the Mahalo mountain path, you’ll be able to catch Solgaleo (Ultra Sun) or Lunala(Ultra Moon). Down the road, enter the dungeon. Push the rock using Ride Pager Machamp. You’ll discover an area where Necrozma is waiting for you. Fighting Necrozma is an option, and you can ignore this guy and leave him behind. Tip: Defeat and capture Necrozma and catch the Z-crystal, “Ultra Necrozium Z.” Using a special device from Colress, you can fuse Necrozma with Solgaleo or Lunala, creating Dusk Mane Necrozma or Dawn Wing Necrozma, respectively. Enter the second dungeon east of the place where you captured Necrozma. In this dungeon, you’ll obtain the Z-crystal “Icium Z” on the yellow pedestal. Head northeast to find it. You’ll find an elevator on the north side of the dungeon. Talk to Dr. Kukui. After talking, you’ll find yourself facing Pokemon League Alola and Champion. Poison Sting East of the dungeon. Look for Ace Trainer Minami. Phoebe Max Near the trainer. Max Revive Near the trainer. Special Guard The path behind Necrozma. 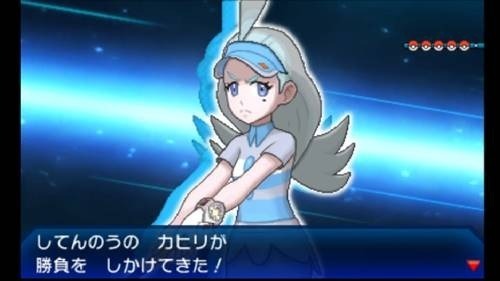 Your player-character will now face Pokemon League Alola. You will face the four best Pokemon trainers on Alola: Molayne, Olivia, Acerola, and Kahili. Use Fire-type attacks against Molayne’s Pokemon. We also recommend using Marowak (Alola). Marowak is ghost-type and fighting type. This Pokemon can take on most of this trainer’s Pokemon apart from Bisharp. Bisharp can easily deal with Marowak, so I recommend that you swap Marowak out for a Fighting-type Pokemon. The only fairy-type Molayne uses is Klefki, so beat it as soon as you can. Use techniques such as Thunder Wave or Spikes. Defeat it with your best Ground and Fire-type Z-moves. 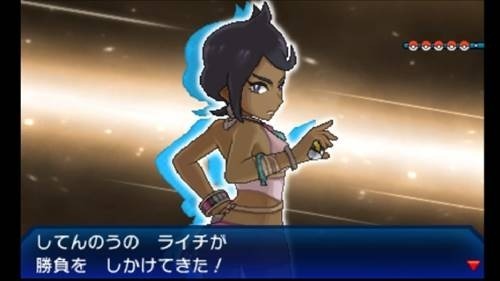 Attack Olivia’s Pokemon with your best Fighting and Steel-types. One recommended Pokemon will be Magnezone. Lycanroc uses “Rockium-Z” so be careful. Meanwhile, Probopass cannot be beaten with one blow because it has “Sturdy.” Use its weak point against it: Waterium-Z. All these Pokemon will be affected by Dark-type attacks, but strong Dark-type attacks are uncommon. We recommend Gyarados. You will easily defeat these Pokemon if you have a “Crunch,” which Gyarados can use. In the absence of Gyarados, you can also use a complex type of Pokemon that can take advantage of their weaknesses apart from Banette. You can easily win the battle against Kahili with a Magnezone and Electrium Z. Walk from the central warp after defeating the Pokemon League Alola. Look for Hau at the pedestal at the back. Fight Hau. Alolan Raichu has “Focus Blast,” so if you’re using that Pokemon, be careful. Tauros’s weak point is fighting, but its ability is “Intimidate,” which decreases the attack power of an enemy. Use fighting Pokemon with special attacks to hurt Tauros. Both Crabominable and Noivern are weak to Fairy-type moves, so employ your most devastating Fairy Pokemon against them. 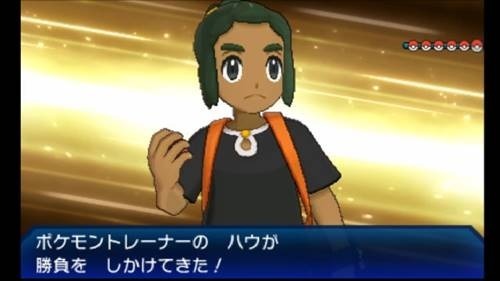 Throughout the battle Hau will be using “All Heal” and “Full Restore,” so be careful. Fighting Professor Kukui will not be easy because he uses various types of Pokemon on his roster. His Lycanroc will use Stealth Rock. Counter this with a Grass or Water-type Pokemon. When he sends out Snorlax, use a Physical attack to deal more damage. With Magnezone, just use Ground-type moves to easily defeat it. Make sure you have an Electric- or Rock-type Pokemon to deal with Braviary. Alolan Ninetales will use Blizzard, so use a Pokemon with good special defense to survive this attack. 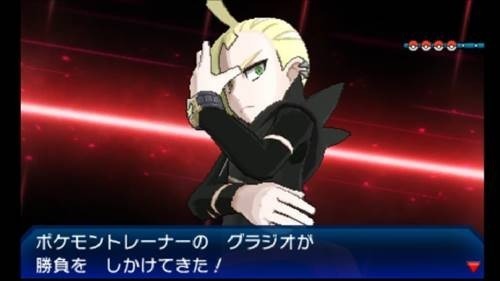 His final Pokemon is the starter Pokemon you nor Hau did not select at the beginning of the game. Use one of your Pokemon to take the damage when it uses its Z-move. Congratulations! You just defeated the Pokemon League Alola, and finished the story mode!